China is on a collision course with disaster as the country's growing environmental challenges with water resources continue to mount. The recent fatal red mud slide associated with aluminium production at Sanmenxia - one of many to plague a nation of 1.4 billion people - is an example of how ruthless, profit-driven corporations abetted by irresponsible Chinese authorities are failing their citizens. Yet they're not just failing their own citizens, who account for one of every five people on earth. They're poisoning that earth as well, and placing the planet and its population in peril with each new violation. A 2016 report from China's National Audit Office found that RMB17.62 billion, or USD$2.56 billion, that was allocated to preventing water pollution in 2015 had not been used effectively. To be fair, the data drawn from 883 projects in 18 cities and provinces reflected some improvements in water quality overall - but some discouraging findings demonstrated the risks that Chinese officials fail to manage. In fact, Chinese authorities have punished 3,229 of those officials for fiscal violations uncovered during the auditing process, the Xinhua news agency reports. Nearly a third of all projects were not started or completed on time, and 13 percent of water pollution prevention works had failed to deliver expected benefits. Efforts to remediate the problems were undertaken, but often not before damage was done. 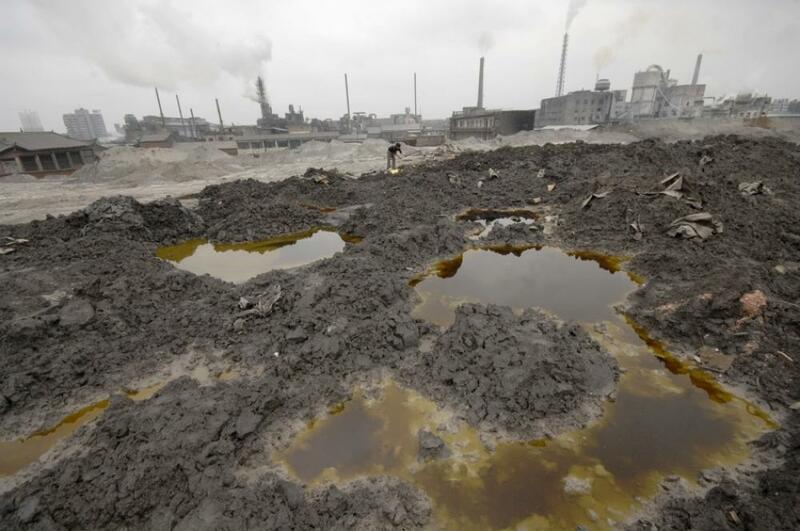 In areas spot-checked along the Yangtze River, 12 percent of the raw sewage from 23 sites drained directly into the water without treatment - a total of 400 million tons. When auditors looked at 373 ports, they found nearly all of them (96 percent) had no collection points for trash from their ships, and 70 percent of them had no emergency pollution treatment equipment. Worse still were the numbers on safe drinking water in 89 Chinese communities, where 53 percent of the sources failed to meet the water quality monitoring standard. Much of the pollution is being caused by unregulated industry; in just three of the provinces audited, there were 53 enterprises found to have "secretly, excessively, or even directly drained away sewage into rivers." That problem extended to poor agribusiness practices, too, with nearly 1,800 farms failing to adequately treat or manage their runoff. The impact is even greater on underground wells, because more than 80 percent of those resources used primarily in China's rural regions are tainted and unfit for either drinking or bathing, a study said. In many cases, the groundwater sources are poisoned with heavy metals as well as agricultural chemicals. Those aren't just numbers, because they represent the tragic disregard for protecting China's water resources - resources that are already under significant pressure, with 85 percent of all water used by either agriculture or industry nationwide. According to the China Water Crisis organization, by 2030, China will not be able to meet its demand for water if it continues its practices. Failure to do so will compromise power generation, economic output, global trade, political stability - and human lives. So Chinese officials committed RMB4 trillion to be spent on water infrastructure in the decade ending in 2020. Much of that critical time frame has already passed, however, and the government efforts continue to be marked by inept mismanagement. The 2016 audit findings revealed that RMB14.36 billion was never appropriated to the units in charge of water pollution projects and instead stayed in local coffers, some of it for more than two years. A significant RMB269 million was wasted or entirely lost to poor planning in five of the provinces. In six of them, RMB65 million was lost to corruption: false materials charging, and reporting that included situations where local authorities completed small-scale projects but claimed bigger ones. China's difficulty in enforcing compliance is glaring enough within its internal agencies and processes, but the inability to control corporations who are destroying precious resources - whether through negligence or willful corruption - is just as big a problem. The East Hope Sanmenxia Aluminum Company so far has not been held responsible for its gross negligence in December's red mud incident. There's been no indication that even a minimal fine has been imposed on the firm, despite the fact that it has a history of violations and was shut down in 2011 for building additional production capacity beyond its permitted approval. In that case, East Hope Sanmenxia paid RMB100,000, a laughable USD$14,539 fine. Since that 2011 violation, the China's Water Ten Plan has been put into effect with stiffer penalties that make violation prohibitive, eliminating the corporate preference for just paying the fine as a cost of doing business and continuing without conscience to foul the water resources people and wildlife need to survive. Yet the Water Ten Plan implemented in 2015 is only as good as the consistency of Chinese regulatory authorities who are charged with enforcing it, and the latest audit casts a cloud on that. By the end of 2016, small factories in 10 different industries as diverse as paper, textiles and oil refineries were required to comply with the stricter regulations or be forced to shut down. The plan calls for water quality monitoring from source to tap by local governments, a performance that will then be reviewed by the central government and made public - but there are no reports yet on enforcement. Larger companies are targeted for technical upgrades, emissions controls and other requirements. Some experts say China is serious about addressing its water resource crisis, simply because it has no choice in the face of growing populations and demand, within the context of its climate accord goals. That's likely true, and the Nature Conservancy is among the more optimistic organizations when it comes to China's "water pressure." A comprehensive 2016 study recommended better forestry and agricultural practices, to improve water quality for more than 150 million people through natural practices. In four of the major cities in China studied, better water treatment strategies could make the conservation practices cost-neutral. Shifting to collective water funds, as is the case in Ecuador and Kenya, engages citizen stakeholders while promoting good governance and limiting the potential for mismanagement, which the recent audit demonstrates is clearly a flaw in China's plan that needs fixing. Policies to stop the poison from flowing into China's precious water resources, though, will only work within a culture that values enforcement.